I’m a reader. 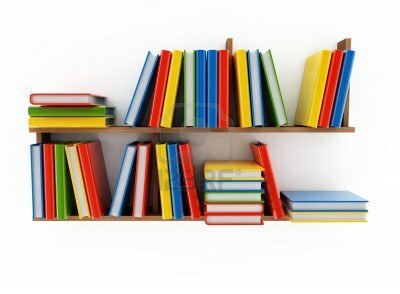 I read all kinds of books, mostly fiction. Sometimes a friend will suggest a book for me to read, or I’ll check out the New York Times Book Review on Sundays, or the Staff Picks shelf at my favorite independent bookstores. It’s all pretty random. But recently I’ve become interested in the idea of place in literature. The way that, in some novels, setting is character. Think Dickens’s London — the characters who come alive in that city’s debtor’s prisons, courts of law, counting houses and blacking factories. Those characters are unique reflections of Victorian London, where coal smoke continuously chugs into the damp air and lingers, trapped by fog, where there are no child labor laws and where poverty prevails. They could not exist anywhere else. And what about modern fiction? Are there good examples of novels today that evoke their setting in a way that makes them come alive, makes you feel like you’ve been dropped into a different world, a distinctive place with a flavor all its own? I believe so. I’ve read some. And I’m on a quest now find one or two from each of the United States. Hence this literary road trip. I’ll start with Delaware, the first state, and keep going until I get to Hawaii. I’ll choose books to read by looking up independent bookstores in the state, calling them up, and asking for a recommendation. I’m excited but also a little concerned that, with the increasing homogeneity of the United States, those characteristics which distinguish one place from another have blurred over time. Drop me off in a shopping mall anywhere from California to Pennsylvania and it’s likely I’ll have trouble figuring out where I am. What distinguishes one city or state from another today when the same big box stores, retail chains and coffee shops are everywhere? When we’re all connected by television and the internet. Where we can wake up in one time zone and go to sleep in another just by taking a short plane ride. Where children grow up in one state, go to college in another and find their first job in yet another state? I’m hoping to find out and write about it here. My first stop is Delaware. A place I’ve never visited and know little about. Joe Biden lives there, right? And Washington crossed the Delaware River–I’ve seen a picture. Beyond that I’ve got nothing except my curiosity. My research into independent bookstores in Delaware leads me to Ninth Street Book Shop in Wilmington. 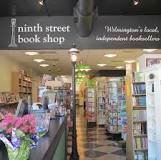 Their website tells the history of the shop (owned by the same family since the 1970’s, moved to several different locations over the years, which is why the address is on Eighth Street but it’s still called Ninth Street Bookshop.) I love finding out that the shop has had the same owner for over thirty years, that the couple who bought the shop are two school teachers who went to Wilmington to buy furniture one day and ended up buying a bookshop. I love that the sale is final on Valentine’s Day and that, over the years, their children grow up playing and working in this place. I wish I could visit. Instead, I call them up, feeling a little nervous and excited. I hope I can convey what I’m looking for and that the person I talk with will catch my enthusiasm and make a good recommendation. I make the call and talk with a friendly woman who says, Oh my Lord! when I tell her about my project. She immediately begins questioning me. Does the book have to be fiction? Does the author need to be from the state or could the books just be set in the state? Hmmm. I’m not sure yet. I’m still figuring out the details. I tell her the book definitely needs to be set in the state and if the author is local too, that would be best. I hear her clicking around on a computer. She first recommends an author I’d just read about in the New York Times Book Review, Christopher Castellani. But, though his first two books are set in Wilmington, his most recent novel is set in Italy. If nonfiction would work, she has a recommendation: one of her favorite local authors has written a memoir about rehabbing an old house with her husband. She tells me the book should give me some local color and a good sense of Wilmington. Done! Send it to me. When taking down my address, she says she has always wanted to visit the Northwest, that she would love to visit Powell’s Book Store. I tell her Powell’s is a fabulous place but that when she comes to Seattle, she should visit Elliott Bay Books first, then take the train to Portland to check out Powell’s. Rachel — You are a star. This is wonderful. I look forward to every single post — and I definitely see a future book in this blog. Thanks Robin! I’m having so much fun! I’m exhausted already thinking of all the reading ahead of you.